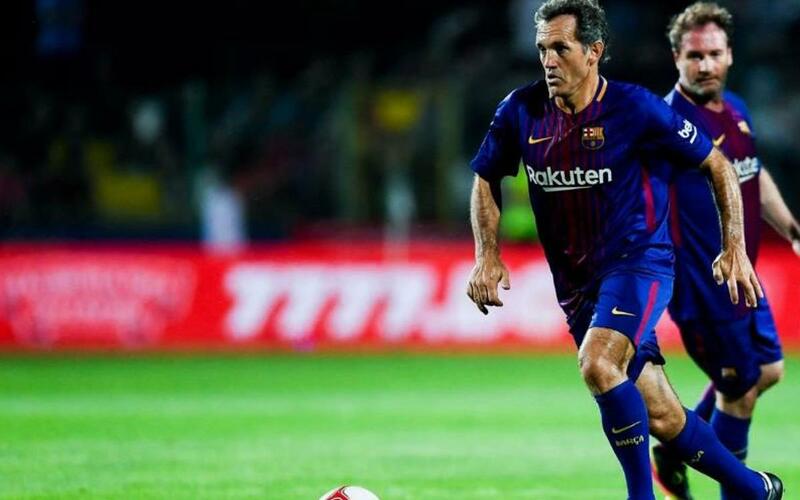 Barça Legends will play two matches in June, one in France and one in Romania. The first fixture will be part of a triangular tournament that will take place on 2 June at the Stade Océane in Le Havre, France where they will face Le Havre AC Legends and Olympique Marseille Legends. Two weeks later on 16 June Barça Legends will face a Romania Legends team in Cluj, Romania in the Cluj Arena Stadion. The team made up of former Barça players have played four times under coach Albert Chapi Ferrer, registering three wins and a draw. The first game saw the Legends take a 1-0 win in Mozambique against Mambas Legends and that was followed by a 2-2 draw against Manchester United and a 3-2 win against a Hristo Stoichkov and Friends team in Bulgaria. In April the team travelled to Brazil to take on Permanbucana XI and succeeded in coming away with a 1-0 victory. Barça Legends continue representing the Club and helping the brand and its values travel around the world. Both matches will be available on Barça TV (Spain only), Barça Video and the Club’s official YouTube channel. For the game in France, coach Chapi Ferrer has announced eight new faces in the squad. Making their debuts for Barça Legends will Albert Jorquera, Philippe Cristanval, Gabriel de la Torre, Damià Abella, Sonny Andersson, Eidur Gudjohnsen, Henrik Larsson and Nano Soler. The squad is completed by the presence of Jesús Angoy, Frédéric Déhu, Sánchez Jara, Javier Saviola, Miquel Àngel Nadal, Andoni Goikoetxea , Lluís Carreras, Ludovic Giuly and Juan Carlos. For the game in Romania, the squad will be the following: Arnau, Jesús Angoy, Gica Popescu, Gica Hagi, Jose Edmílson, Sonny Andersson, Andoni Goikoetxea, Frédéric Déhu, Sánchez Jara, Juliano Belletti, Julio Salinas, Miquel Àngel Nadal, Lluís Carreras, Éric Abidal, Oscar Arpón, Patrick Andersson and Juan Carlos. The Romanians Gica Popescu and Gica Hagi will play 45 minutes for Barça Legends and 45 minutes for the Romania Legends.